Habitat Resort is an award-winning resort offers four-star accommodation set amongst eight acres of tropical gardens. 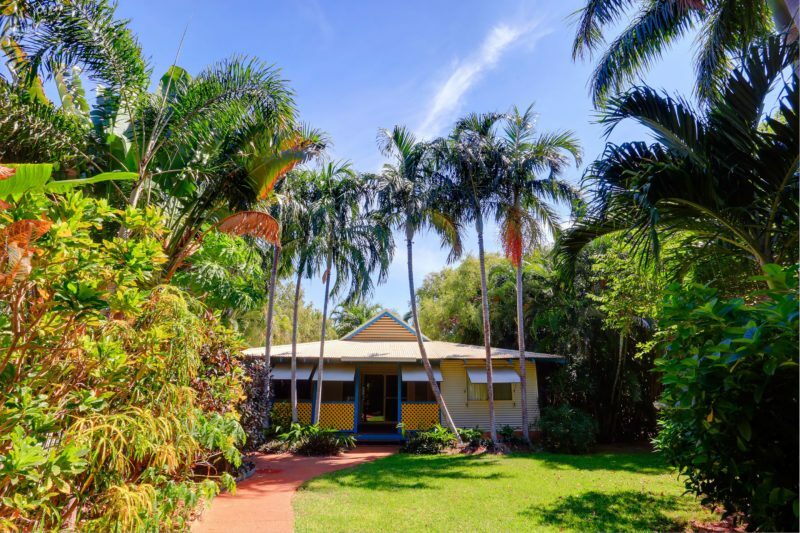 This property is a 12-minute walk from the beach, five-minute drive to the famous Cable Beach. 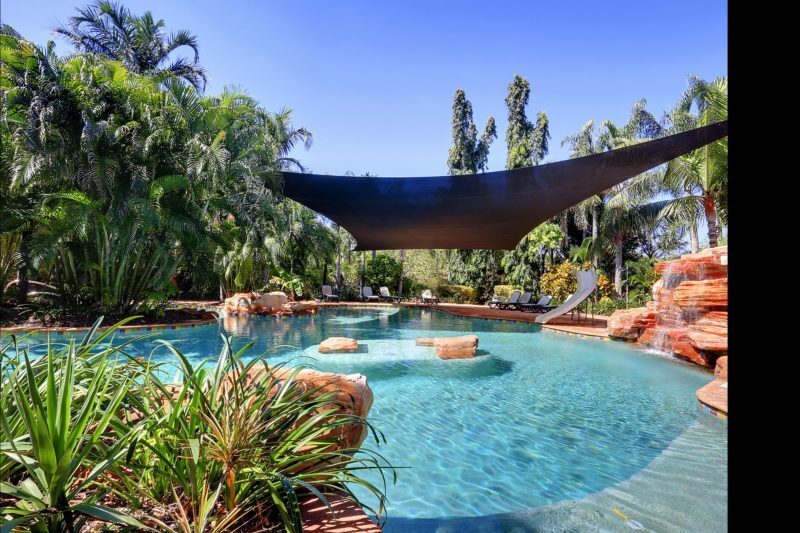 Located next door to Roebuck Bay Golf Club, it features two swimming pools and free in-house movies and free wi-fi access in all rooms. 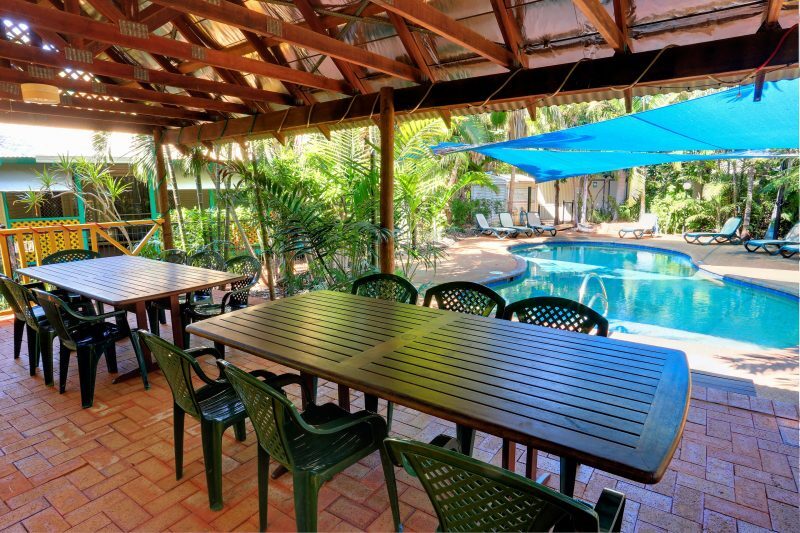 Guests at Habitat Resort Broome have free access to the adjacent golf course. The tour desk can arrange day tours and airport transfers. 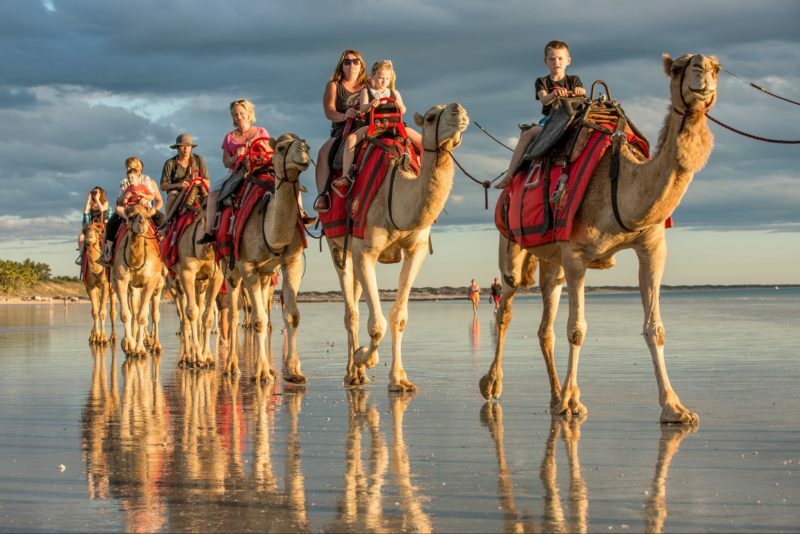 Broome town centre is a five-minute drive away. 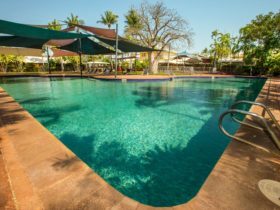 Each apartment and bungalow includes a full kitchen, laundry facilities, air conditioning and ceiling fans. Guests can relax on their private verandah with outdoor seating. 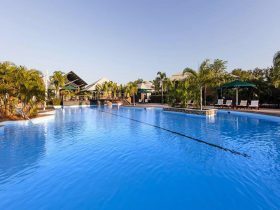 The resort offers something for the whole family to enjoy from golf, nature reserve, swimming, fishing, barbecue facilities, shady cool lawns or simply relaxing in the huge and lush resort grounds. 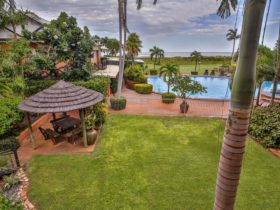 The atmosphere is relaxed and stylishly tropical, perfect for a romantic getaway, a quiet retreat or simply that perfectly indulgent golfing holiday you’ve been promising yourself. The 1 Bedroom Apartment is fully self-contained and provides spacious interiors that let you set up your own home away from home. 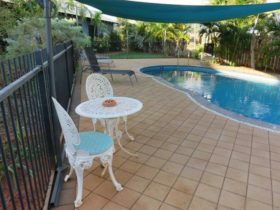 Ideal for couples seeking their own space in a relaxing private environment and short or long term corporate guests who want to return to more than a motel room after a hard day’s work. The 1 Bedroom Apartments accommodates up to two people in a queen size bed. The 2 Bedroom Apartment is ideal for a small family, group of friends or work colleagues sharing a trip away. The apartments contain a queen size bed and two single beds to provide maximum flexibility in sleeping arrangements. The 3 Bedroom Bungalow is spacious and free standing with a private veranda. They are perfect for a larger family, group of friends or work colleagues. The bungalows contain one queen size bed and four single beds. 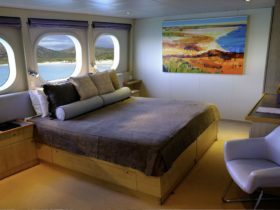 They can accommodate up to six people. The 3 Bedroom Deluxe Bungalow is ideally suited for larger groups or for families wanting an extra bathroom. 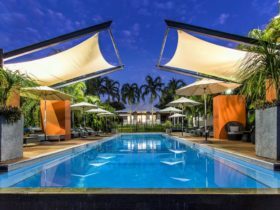 They are perfect for couples travelling together and offer better value for money than booking two 1 Bedroom Apartments. The deluxe bungalows are spacious and free standing with private verandas. They contain two queen size beds and two single beds.